Observation - Possible galls in Cowberry - UK and Ireland. Description: Pimple like swellings on the underside of a cowberry leaf (Vaccinium vitis-idae). 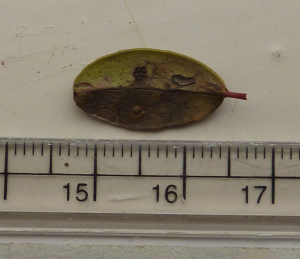 Pimple like swellings on the underside of a cowberry leaf (Vaccinium vitis-idae).